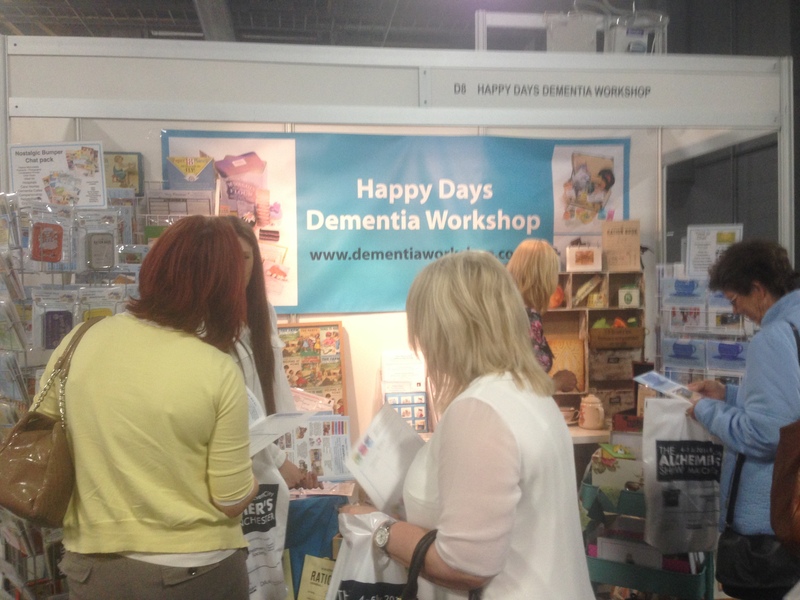 Hello everyone who attended the Alzheimer’s Show ~ it was lovely to meet you. Lei, Suzanne and myself had a wonderful 2 days sharing ideas about enriched care for carers, elderly people and people living with dementia. Even talking is an activity. As we all know, social interaction can often encourage activity and aid well-being. Just to let you know, we are constantly adding to our range of materials to meet needs and provide benefits for well-being. From your feedback, we are now creating 1970’s materials to help prompt long term memory – available next week. People with dementia still have feelings and can experience different emotions. We are looking into a range of comforting products to help people in later stages of dementia to help calm and comfort people. Please contact us anytime if you would like to know anything about our range of creative and social materials to help people live well with dementia.